It's another design team challenge today for the Riley and Company Design Team! 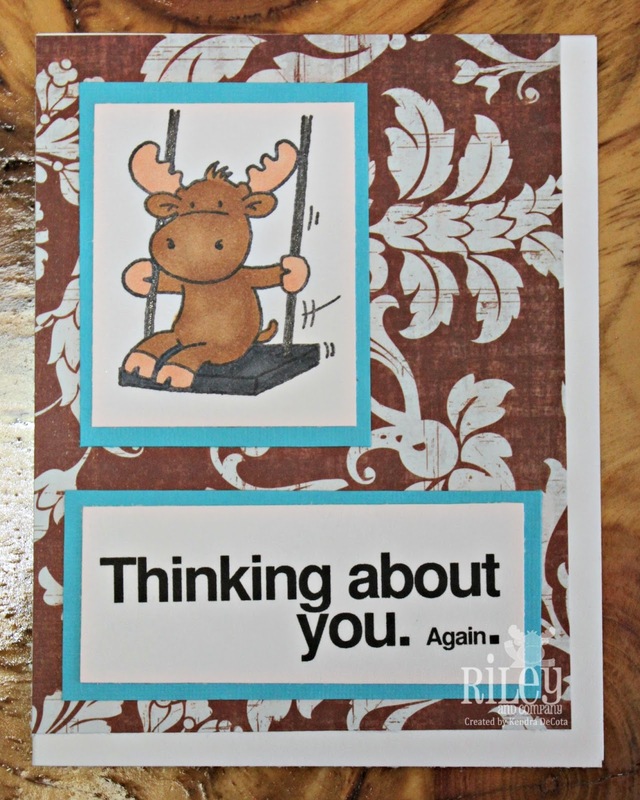 Joy has challenged us to make a "thinking of you" card or project. I thought this was the perfect time to use the sentiment Thinking About You. you can find it HERE at the Riley and Company Store. I have paired it with Swinging Riley that you can buy HERE. Can you handle the cuteness? Well, Riley and Company has some more on the way! Check back starting on August 17th for the design team's Inspiration Week. We will be showcasing all the new Inspirations, Funnybones, and another new character! Awesome! 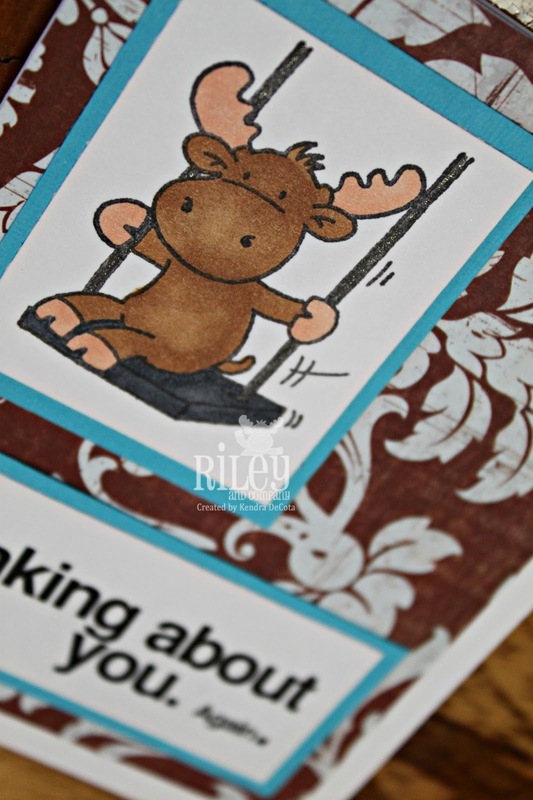 Don't forget to check out the Riley and Company Facebook Page for a couple of sneak peeks!